Immerse yourself in French wine country as you cycle through world-famous vineyards. 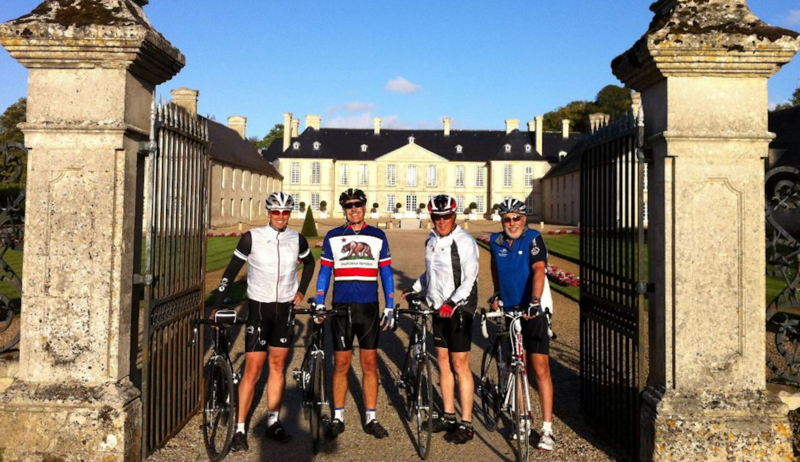 Learn more about a French cycling tour with Jemison Cycling now. Experience the timeless beauty of Italy on a cycling tour in Tuscany. Soak in the Mediterranean sunshine while exploring Puglia on a bike. Check out the Jemison Cycling tours of Italy now. Experience ancient cities and castles on a Girona cycling tour. Become charmed with the Mediterranean coasts of Catalunya. Explore the magic of bike tours in Spain now. Join former TDF pro Marty Jemison, as he personally guides you through some of the most beautiful areas in Europe. Each tour is hand-curated by Marty himself and will indulge you in fine dining, luxury accomodations and hidden gems not available with any other tour company! Whether you want to cycle Tour de France routes, experience Tuscany on a bike, or explore French wine country, Jemison Cycling has a tour for you. Explore all our European Bike Tours today!